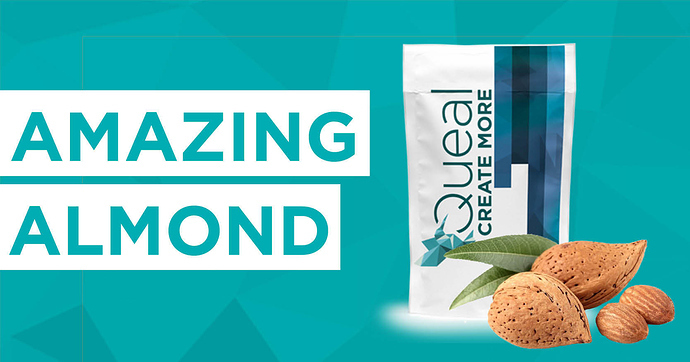 I'd love to hear your thoughts on our newest Limited Edition flavour: Amazing Almond. Did you like it, would you buy it another time? If you haven't had the chance to buy this rich, slightly sweet, satisfying flavour; be quick, we're almost running out! It's amazing, hence the name I guess. It should become an "unlimited edition" (just like oats and honey). I mix it with chocolate hazelnuts, and the result is great. Liked it a lot, would definitely reorder! I just mixed 3 coops amacing almond and 2 scoops cool chokolade in 400ml roomtemperature wather. BEST taske ever. Who would have thought. I always had impression Almonds go better with Vanilla I still need to try the flavor by itself but will definitely try the Chocolate mix as well! I'm a big fan of 4 scoops Almond with 1 scoop Hazelnut myself. Not really Amazing for me, at least not in the pure form. Has that over-sugary glazed almond taste which I really dislike. Was hoping for more real almond taste like those almond milks. Combined with Chocolate, Vanilla, Hazelnut (Queal or some protein powder; Forumula 80 for me) makes it okay, half-decent. ..is what i love about it. The sweet taste tricks my sugar addiction to think it's been satisfied. I really liked it. Wish it was a regular! 2 : 1 (119g : 59g) ratio Almond and Hazelnut tastes really nice. That chocolate-hazelnut flavor is really amazing Thanks for the tip!